Yesterday I came home tired from a long day at the T shirt factory. However the rabbi came a long way for his private lesson. He is 70 years old and travels over an hour on the bus to come to his weekly lesson. So we train. "Rabbi, what would you like to work on today? ", I asked. "Up to you", he responded. And so we worked on knife defense, gun threats and defense vs an M 16 rifle being pointed at you. Yesterday two of our people were killed, a 19 year old soldier and a rabbi, a father of 12. The soldier was really a gentle soul, a musician who played a rare instrument, probably more of a poet than a fighter. But he served. We all serve, for this is the hand we have been dealt. We are surrounded by people bent on our destruction and a world that for the most part does not care. The other was a rabbi, a father of 12 and chief rabbi of a yeshiva, a rabbinical academy, he lived to teach and to serve. He carried a handgun. When I was teaching a seminar recently in San Lois Obispo, California, far from all this madness, my friend Eric Sandahl made an interesting observation, a point that had eluded me. He said that when I teach Krav Maga I always speak of helping others, taking action to protect others. 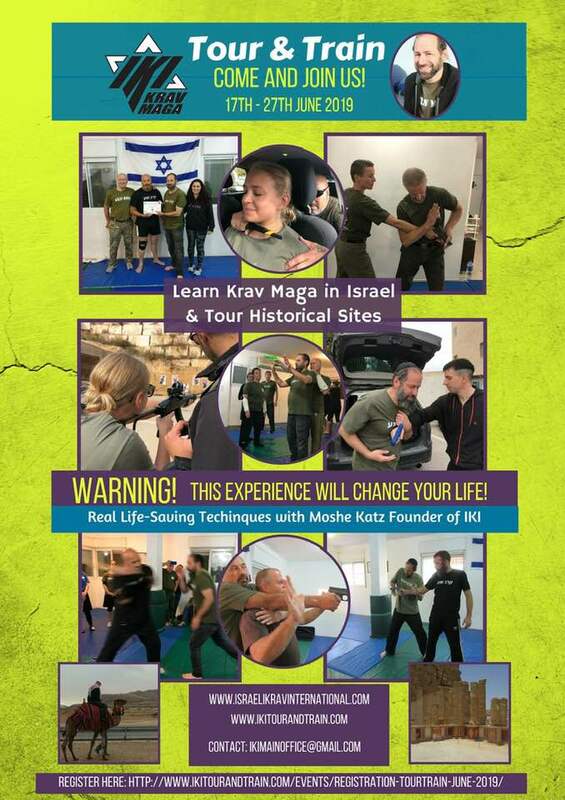 When Americans teach Krav Maga, he said, it is always about self protection, but when Israelis teach it is about taking action, even at risk to ourselves, to protect others. That is what the rabbi did yesterday. Just a few minutes ago we received the tragic news that Rabbi Ahiad Ettinger, may God avenge his death, died of his wounds. He was driving by on his way to work when he witnessed the terror attack. He turned his car around and approached the terrorist. He got out of his car and engaged the terrorist. He got off 4 shots but the terrorist, with his stolen M 16 rifle shot the rabbi in the head. He just passed away from his wounds, minutes ago. My student, also a rabbi, asked, what do you want to train today, and I said knife attacks and defense vs an M 16 rifle. And sometimes people wonder, why do we train? Why do we devote so much time to these basics? And the answer is because we must. There are times when I hear students say...oh, he will teach the same material again at the seminar, why should I bother attending? and I wonder how anyone can be so stupid. Not only that we are always improving on our techniques but there is no such thing as too much practice with the basics. A young man was stabbed and his rifle was taken. This is a scenario that we train on constantly. When you decide not to train you are telling me that you are "good enough", but are you really? An IDF commander shot and hit the terrorist after the first attack but it was not a kill shot, the terrorist still managed to steal a car, drive away and kill again. Was this soldier trained enough or did he need more shooting practice. I recall the words of instructor Steve Gar, "Not good enough". You may think you know the technique well enough. You may think you are good enough. But you are incorrect. You are not good enough. You are not trained well enough. These days people are encouraged to feel good about themselves, not to be critical, to receive "participation awards", but this leads to an exaggerated opinion of oneself which leads to failure when real abilities are required. All over the world young politicians are leading the fight against Israel, young American Democrats, supported by Jewish Liberals, point the finger at Israel and say it is we who are the cause of the conflict. There is no cure for such mental illness. The cause of the conflict is quite simple, so here it is "Conflict explanation for dummies", the young musician wanted to play music and live, the rabbi wanted to live and teach and raise his children. Our enemies do not want us to live. We wish to live in peace, they wish to kill us, and so this difference of opinion leads to a "Conflict". If you cant' understand that, well, you are a special kind of stupid.